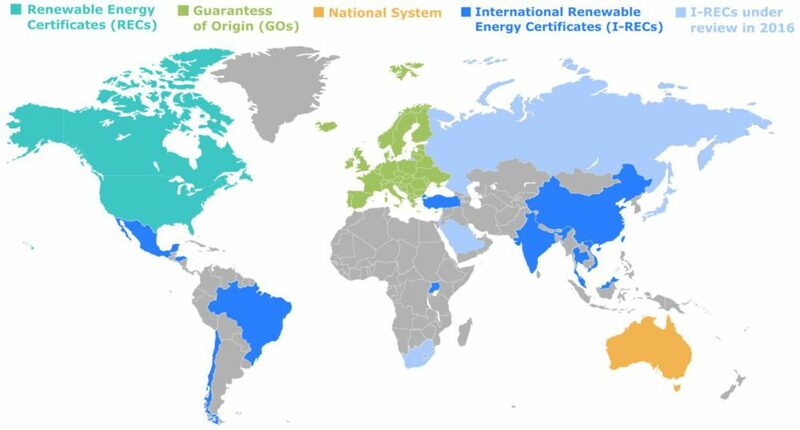 The International REC Standard (I-REC Standard) is empowering electricity purchasers in any region of the world to make renewable electricity consumption choices. I-REC certificates fall into a category of attribute tracking certificates, described in the GHG Protocol Scope 2 Guidance Document. The certificates represent a category of contractual instruments used in the energy sector to convey information about energy generation to other entities involved in the sale, distribution, consumption and regulation of electricity. The I-REC attribute tracking system allows consumers who wants to track and verify their progress towards their environmental goals. The certificates are tracking renewable electricity production from its location of generation to its place of consumption. The tracking takes place in the form of a digital statement, based on one MWh of electricity production from a generation facility. Ownership of the digital statement allows electricity consumers the ability to claim the attributes of a particular generating facility based on preferred attributes like technology, age of power plant, location of power plant etc. The I-REC system is transforming the renewable electricity certificate landscape towards a global market for sourcing renewable electricity.